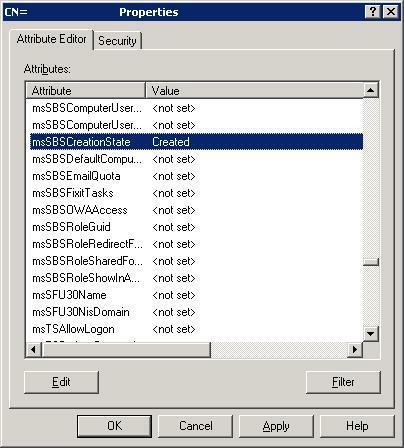 After migrating from a Server 2003 Active Directory, to a Windows Small Business Server 2011 installation, I found that the migration did not import the existing AD users and computers into the SBS 2011 console. Optional. Using the Active Directory Users and Computers console, move your users to theMyBusiness/Users/SBSUsers Orginization Unit. Save the changes, and repeat for other users.